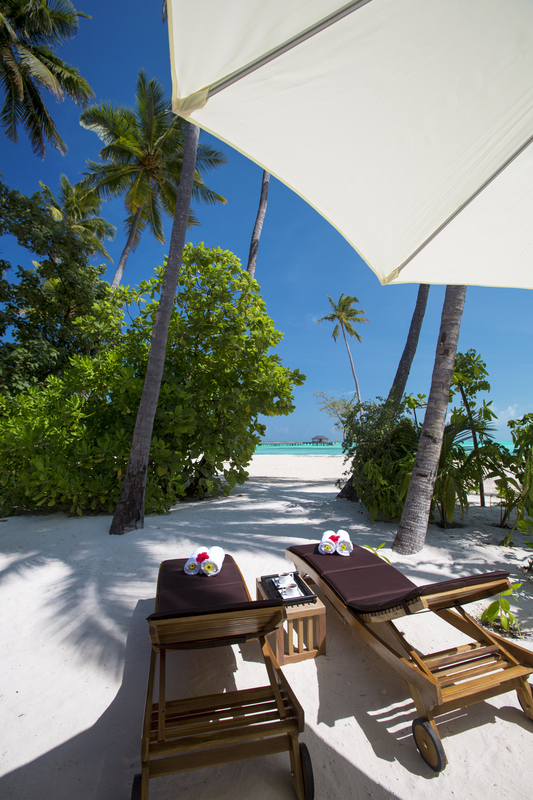 Amidst an expansive lagoon of turquoise hues surrounded by a long uninterrupted stretch of pristine white sandy beaches; Atmosphere Kanifushi opened its doors to the world on 15th December 2013. Atmosphere Kanifushi Maldives offers a uniquely exclusive Premium All-Inclusive holiday plan – Platinum Plus, whereby enhancing the typical 5-star Maldivian resort experience and going that extra mile…. Transfer type: Male International Airport Kanifushi Island is approximately 2 km in length and 90 meters wide, with lush green palm trees and flourishing of tropical vegetation with a large natural coral reef surrounding it situated in the sparsely populated Lhaviyani Atoll. 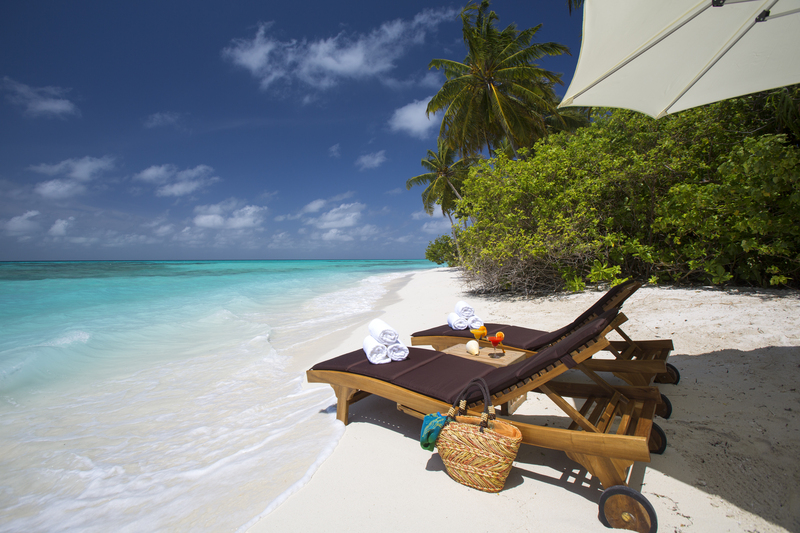 Some of the largest entry level beach-front villas in the Maldives. Elegantly designed with guest comfort in mind; high ceilings & open air bathrooms. 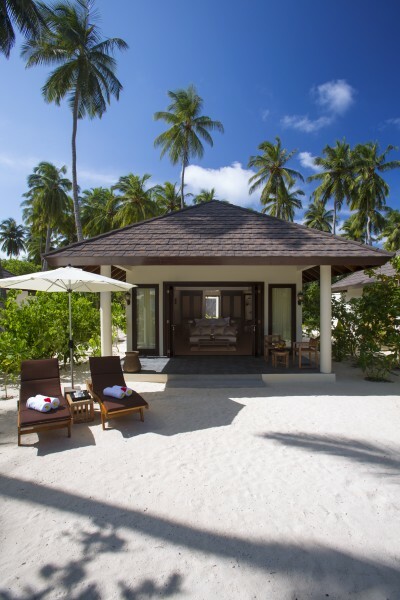 These signature villas are the pride of Atmosphere Kanifushi! Located at the northern-most tip of the island allowing for space and exclusivity, the sunset pool villas offer maximum privacy and truly are a cut above the rest offering the best ultimate luxury island holiday! With an expansive outdoor private area, including a large veranda, each individual villa has a private pool of 30 m² complete with sun loungers. 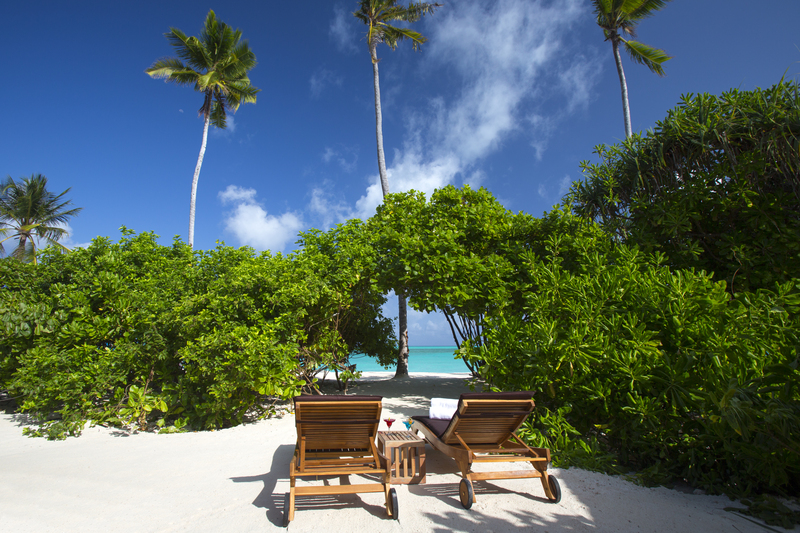 In addition to the above, the villa provides direct beach access overlooking the vast azure lagoon of Kanifushi Island. The prime location at the nothern-most tip of Kanifushi provides the best sunset view on the island! Overlooking one of the largest swimming pools in Maldives facing due east is the Main Bar. Being at the edge of Lhaviyani Atoll with views of the deep blue ocean proves ideal for relaxing and having a cold drink under the sunny weather. 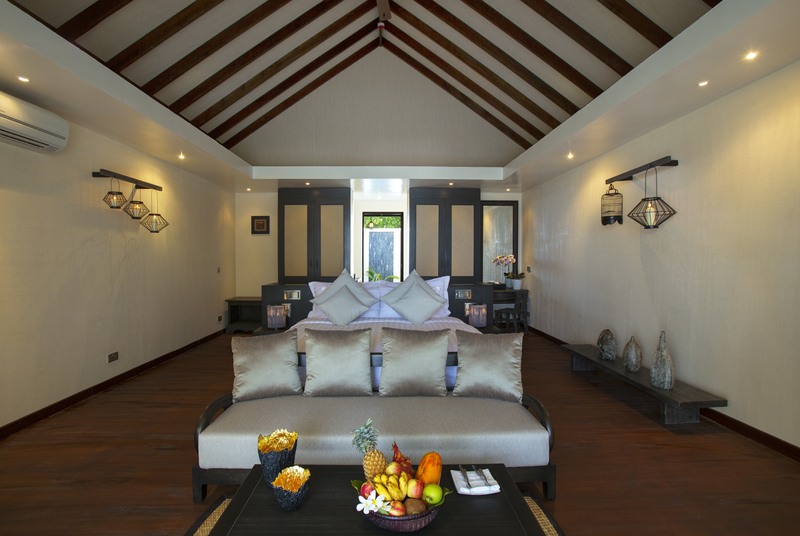 A wonderful location to chill-out near the Sunset Junior Suites & Sunset Pool Villas. Overlooking the turquoise lagoon of Kanifushi Island, guests are able to enjoy uninterrupted views of the sunset along with our ignature cocktail! 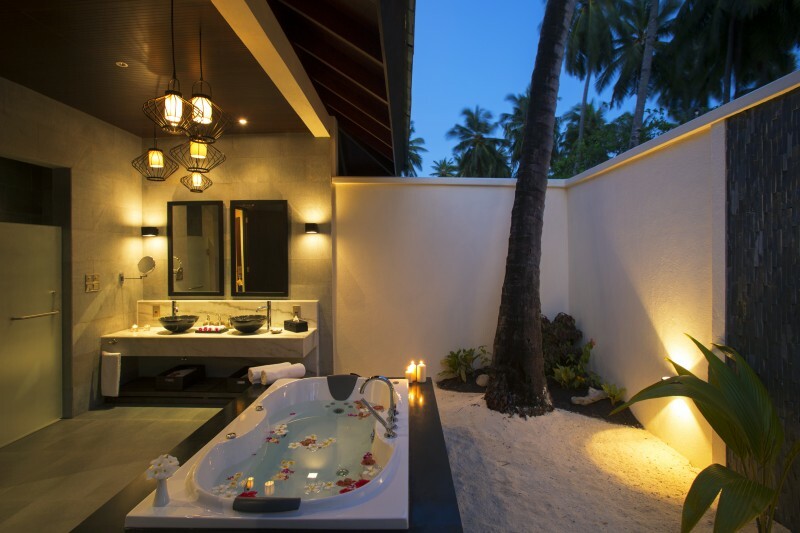 The Akiri Spa at Atmosphere Kanifushi Maldives boasts spacious relaxation lounge and a complex of 12 treatment rooms all amidst lush landscaped gardens and views of the eastern coast of the island. Offering a choice of luxurious health and beauty treatments including Ayurvedic therapy with professional consultation to balance body and mind. Indulge yourself in this holistic experience. The Spa also has a sauna, steam room, jacuzzi. The resort’s PADI licensed Dive Center is run by a multilingual team of professionals. The full allure of Kanifushi exists both under and upon its waters- the sea and air are alive with adventure, and the key to appreciating these elements of nature, likes in the expansive Dive & water sports center. With a house reef just off the shore, plus uncharted dive and snorkeling sites. Several popular dive sites are within close proximity, including The Shipyard, Anemone Thila, Fushivaru Thila and Aliha Giri. Maldivler’de hiç unutamayacağım anlardan bir tanesini bu ada da yaşadım. Nedir o? Okyanusun ortasında bir adada yani burada bisiklet sürüp sonuna kadar gittim. Su üzerinde yaşattı beni o bembeyaz mercanlara dokuna dokuna. Bu adanın uzunluğu 2.4 km ve resorta geldiğinizde odanızın önüne bisiklet istemeyi unutmazsanız adayı dolaşmanız daha kolay olabilir. Ada dar ve uzun. Gezmesi çok keyifli. Odalar bir tarafta diğer tarafta sadece kıyı var ve okyanustaki dalga seslerinde akşam yemeğinizi yemekte ve okyanusun üzerine kurulmuş restoranda iseniz zaten tadından yiyemezsiniz o yemeği. Ayrıca hemen hemen her resortta olduğu gibi odanızın kapısı burada da okyanusa açılıyor. Bu ayrıntı da oldukça hoş. Ayrıca bu adada bulunuyorsanız spaya uğramadan da ayrılmayın. This is absolutely a unique island due to its size and shape. Its 2,5km long wild beach on one side, and more ‘civilized’ beach where all beach villas are located on the other side give you the feeling of tranquility and the open water ocean with waves at the same time; depending on which one you prefer at a time. The villas in this beautiful resort are designed to make you feel at home, relaxed and give you a lot of privacy. Having a huge bathroom in your backyard with a jacuzzi, showers and everything, it is hard to leave your villa. And in case you decide to leave, you have the ocean just in front of you. Being a large island, it is a good idea to ask for a bike. With your own bike on the island, you can feel the freedom of cycling on an island in the middle of Indian Ocean. It’s a great feeling you should try. Last but not least, having lunch or dinner in the restaurant is another experience, just by the water and facing the waves of the ocean.